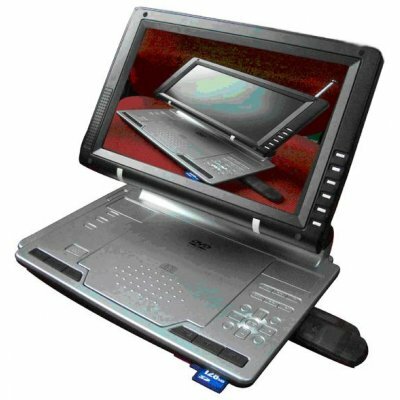 Successfully Added Portable TV Portable DVD Player - 9.2 inch TFT - Region Free to your Shopping Cart. Region-Free Portable DVD Player with terrestrial TV receiver, available wholesale direct from China. Includes USB port for connecting to an MP3 Player and Card Reader so you can play music and videos from flash memory. Internal rechargeable battery and remote control included. USB port and card reader for SD / MMC / MS card. Internal super strong lithium battery - 2 hrs video playback on battery; DC adapter supplied selected according to your country. TFT pictures individuation adjustment such as up down, from left to right etc.